Lero Property offer Central London holiday apartments for tourists, short term rentals for visiting professors and specialises in student housing for the academic year. Our Central London holiday apartments are furnished flats that are ideal for those requiring Central London self-catering accommodation; we can arrange both long and short term rental and lets to suit your requirements. We have been managing apartments in London for more than 40 years and have established a reputation for quality holiday and student accommodation, with large numbers of tourists, professionals and students booking year after year. We offer vacation rentals with a minimum stay of 1 week. Our serviced apartments are ideally located in central London, perfect for visiting this vibrant city. 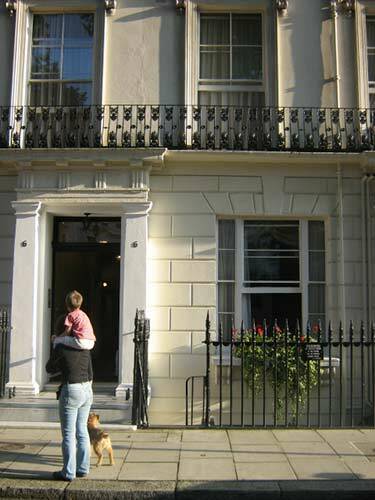 We believe that renting a holiday apartment is the best way to experience true London life! We offer student accommodation in West London for the academic year, normally September until June, for students and visiting professors. Flats for Internship are also available in the summer period (a minimum stay of 4 weeks gets better rates). All our flats are self-contained and our rental price includes central heating (October - 31 March), constant hot water, taxes and TV license. Broadband Internet is also available. FOR CENTRAL LONDON SERVICED APARTMENTS CONTACT US NOW FOR SPECIAL OFFERS!